This post continues the Civil war theme of last week with a look at how the musket was used and also what might happen if a person was hit. Maintaining a constant rate of fire. As you can see from the previous post, firing the gun was not an easy process. An experienced person might manage just under 3 shots a minute but the rate of fire would most often be about one shot every 30 seconds. In order to maintain a constant volley of fire, groups of musketeers were arranged in ranks. Whilst the person at the front would be firing, the three people behind would be re-loading. As the first person discharged his gun he would retreat to the back of the line and begin re-loading, the gunner at the front would then fire before returning to the back to load again. In this way the gunners would advance across the battlefield towards the enemy lines – firing more or less continually. 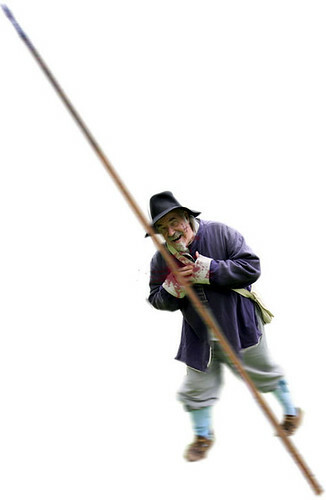 Before this period the English longbow was the most feared weapon on the battlefield. It is interesting to note that the longbow has a longer useful range than the more technologically advanced musket. 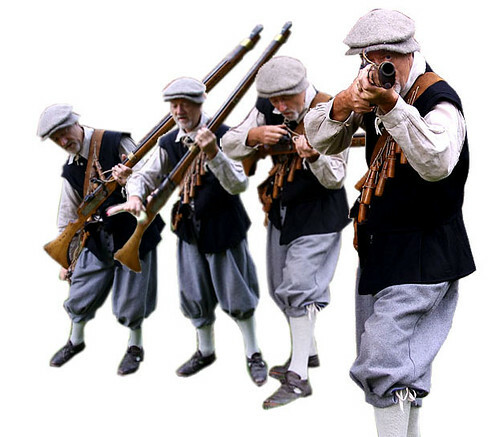 It is estimated that a longbow could shoot an arrow up to at least 180 yards – compared to 70 to 100 yards for the musket. There is an idea that the musket was used because it was easier and quicker to train someone to use it. Another idea is that the longbow simply fell out of fashion – eventually there were less people who could use them in battle. 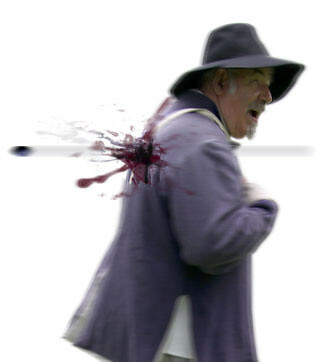 The Musket ball and it’s effectiveness. This is a 12 bore musket ball and it measures about 3/4 of an inch in diameter. 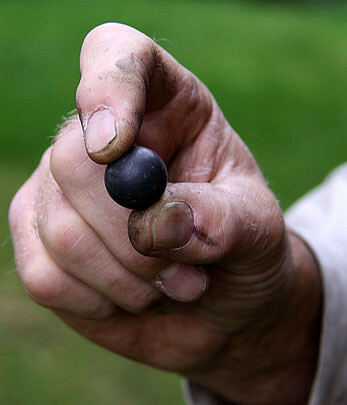 The term ‘bore’ comes from the number of balls that can be made from a pound of lead. It is possible to make 12 of these balls from a pound of lead. Sixteen bore shot was also commonly made i.e. 16 smaller balls from a pound of lead. As stated in the last post test firing has revealed these guns to be much more accurate than expected but what effect did they have ? Of course, for poor Gabriel and thousands of others like him there was little chance of survival. The wound would have fragments of cloth and dirt driven into it, although not immediately fatal, it would certainly become septic quite soon – causing a prolonged and painful death to the victim. Just in case all this hasn’t put you off why not learn to be a Musketeer yourself?